AloePro from Premier Research Labs is made with organic aloe and traditionally supports healthy digestion. 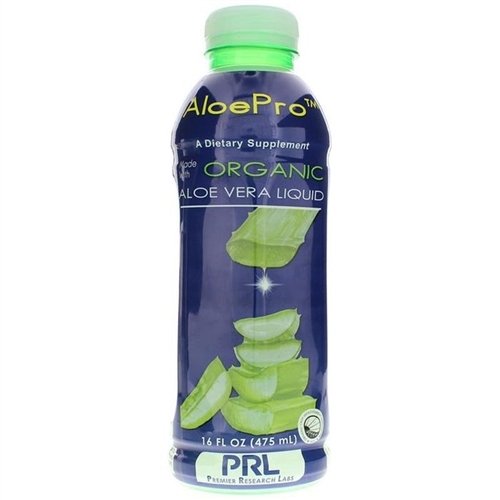 AloePro contains pure, hand-filleted aloe liquid (inner leaf gel and pulp) without questionable preservatives (such as sodium benzoate), without questionable sweeteners (such as aspartame or sucralose) and without dilution with water. All liquid present is from the aloe's inner leaf only. The FDA has not evaluated any of these statements. This product is not intended to diagnose, treat, cure or prevent any disease.